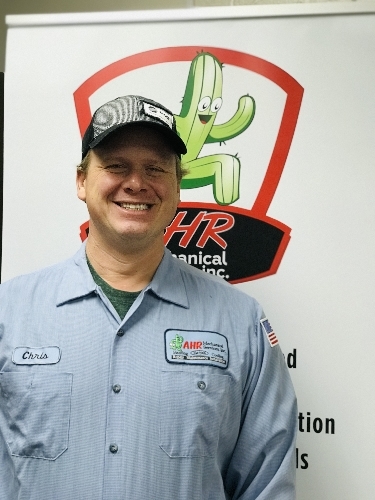 Chris is certified as both a Master Heat Pump Technician and a NATE technician. He specializes in residential service and installation. Originally from Hawaii, Chris loves to surf, cliff dive, and practice MMA. He always has a smile on his face and is a customer favorite within our corporation! Request for Christian to check your AC! Chris is a well-rounded family man. He has two little ones at home and a wife of three years. He enjoys playing basketball and learning about Greek history in his spare time. He graduated from ASU with a bachelor’s degree in Science. 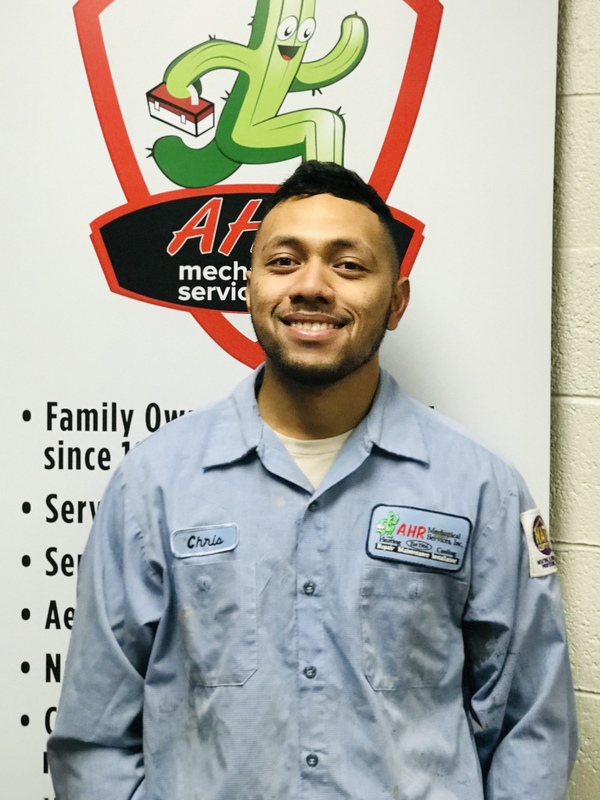 Chris has been working hard in the industry for two years — he enjoys hard work and is more than willing to lend a helping hand. Request for Christopher to check your AC! 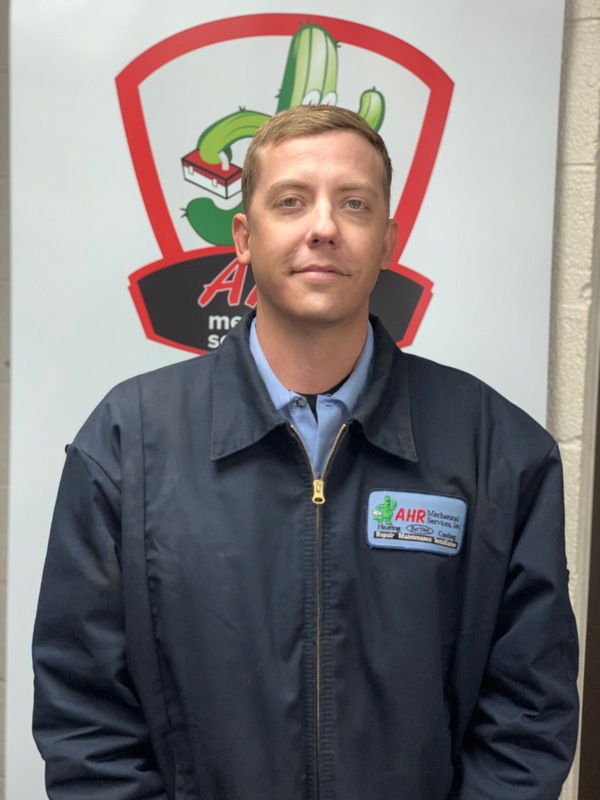 Chris has been a service technician for over seven years. He has even owned his own company before joining AHR Mechanical. His experience is not only in residential, but walk-in coolers and other commercial applications, as well. Chris is married with five daughters and he just had his fifth daughter a few months ago! Leigh has been in the industry for over 17 years, and he specializes in residential repair. He has four children and loves to spend time with them every chance he gets. Leigh likes to play the guitar and is a big Arizona Cardinals fan. Leigh is a Master Heat Pump Technician and a NATE Certified Technician. Request for Leigh to check your AC! Nate is EPA certified and specializes in residential installation and repair. He is one of our go-to installers and you will often see him paired with Christopher Ragan. Nate has been recently married, as well! Request for Nate to check your AC! 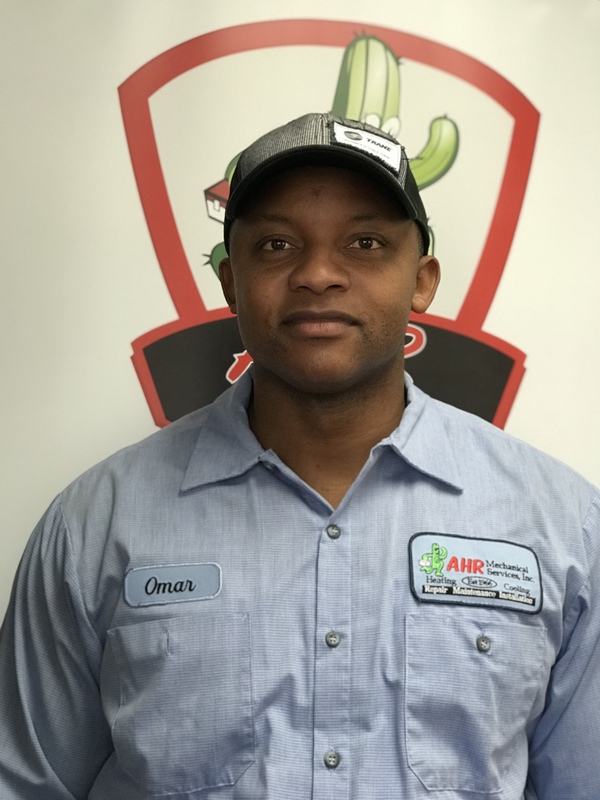 Omar has been in the industry for four years and specializes in residential service and installation. Omar served in the US Navy as an engineman, has a degree in Criminal Justice, and has two children. When he’s not working for AHR Mechanical, he enjoys taking his family out of The Valley for trips to various states. Request for Omar to check your AC!